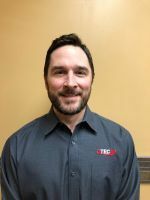 York, NE - March 25, 2019 - C-TEC AG is pleased to announce Clint Gerard has joined our team as Sales Manager. Clint brings extensive sales, estimating, and project management experience in the construction industry to C-TEC AG. Prior to joining C-TEC, Clint's background included over 20 years experience as an Estimator, Project Manager, and also in Sales. In these previous positions his expertise included concrete, structural steel, and ag processing equipment installation. Clint received a bachelor’s degree from the University of Nevada Las Vegas in Sociology and Business Administration. In his free time, Clint enjoys adventures with his 3-year-old son and loves to spend the summers outside with his nieces and nephews. Clint also enjoys trips to Wrigley Field to watch Cubs Baseball. His favorite vacations spots include, Las Vegas and Florida. When asked about what brought him to C-TEC, Clint offered, “C-TEC AG is an innovative company that offers a broad range of solutions to complex problems in the agricultural industry. "I am excited to join this team of experienced professionals that are equally dedicated to integrity and problem solving. Clint will be reaching out to existing customers to make sure their needs are met while developing new partners within the industry. Clint can be reached directly at (402) 710-1573 or cgerard@ctecag.com.